This is work done by a year 7 class using geo boards and then the printable paper version. They used it initially to make as many triangles as they could then the class looked at different types of triangles and their properties. Some moved onto looking at quadrilaterals. The class particularly enjoyed looking at proof by exhaustion and talking about what a proof was. 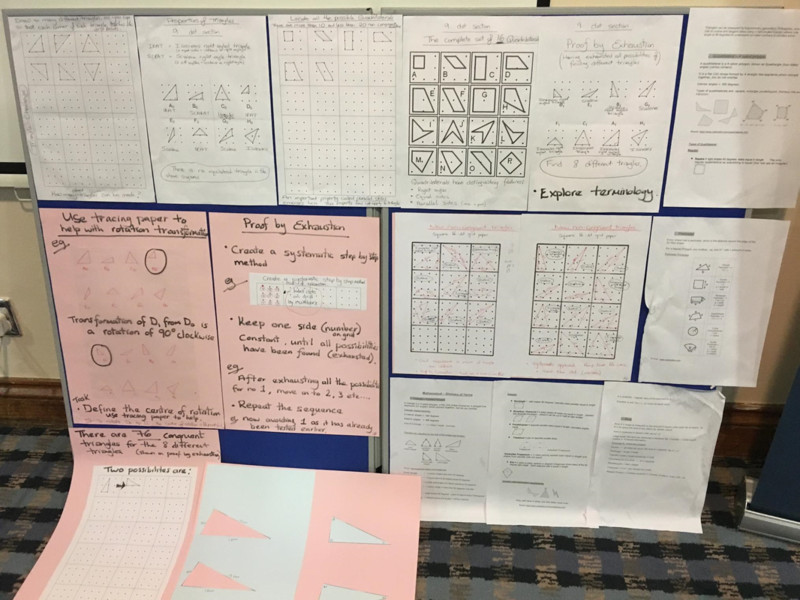 This was work shared at a subject knowledge training course where the teacher who used these resources was not a maths specialist and she said she learnt a lot along the way too. I have used the learning journeys with a number of classes at the start of a unit. 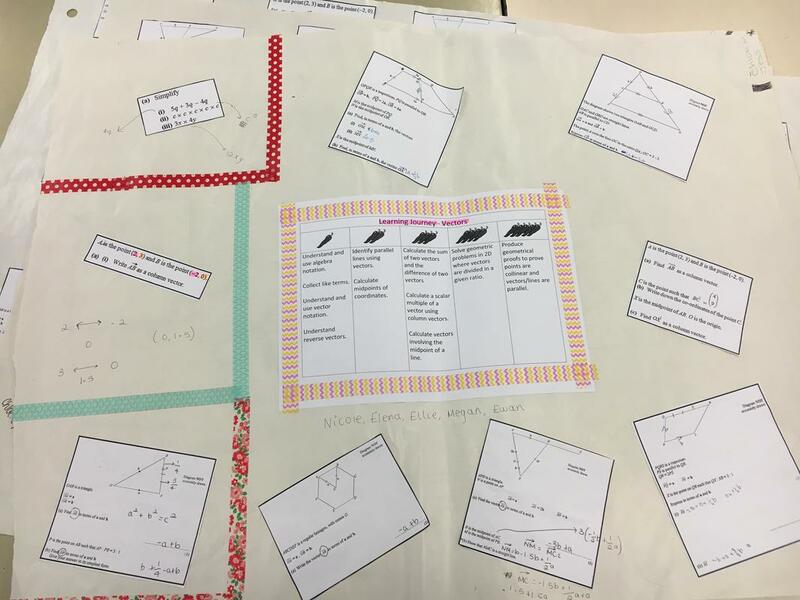 The feedback from students is that they found value in seeing the range of outcomes and types of question related to the unit for two reasons 1) it helped establish the things they were already good at and 2) it gave them a clear idea of what they potentially would be able to achieve by the end of the unit. 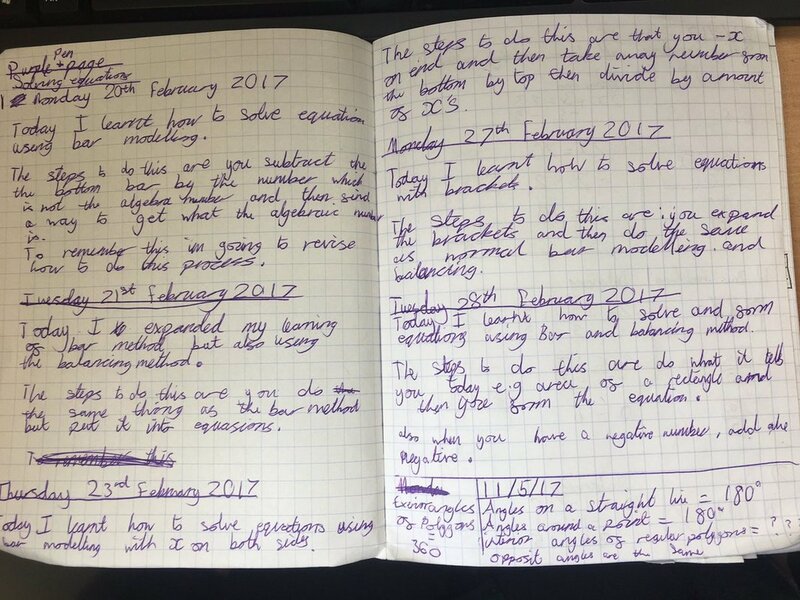 ​"Here are some examples of the 'green pen page' I have been trying out with my year 7. It has been a really useful exercise for them and me."